The new year is flying along as we come to the midpoint of February. Your new year, new me resolutions may have dropped off but there is no need to feel down; why not try new year, new car? First we have to get rid of your old model. Here at the advertiser.ie we provide the top five tips of selling your car online. 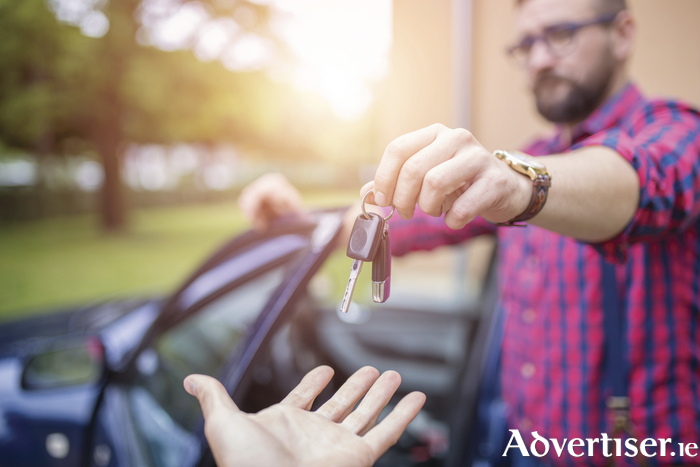 Normally it is the buyer who researches the vehicle's history, however, a seller having a car's current history report in their possession adds to the seller's credibility, and gives the buyer a reason to trust the seller. Likewise a vehicle service history report will also aid your reputation. A simple but important tip. Nothing will turn off a potential buyer quicker than a filthy car. Make sure the car is clean inside and out, and a bit polish does no harm to your car's chances of selling. Take as many flattering pictures of your car. There is nothing more dodgy looking than an advert for a car with no picture. Buyers will automatically think, "Does the car even exist?" Describe the car in as much detail as possible; warts and all. A full description of the car and its little niggles will add to a seller's credibility and will also mean a buyer has less wriggle room to haggle down the price as they have been already informed about any kinks. Provide as many contact details as possible. Having next to no contact details or failure to respond to messages will greatly decrease your chances of selling a car. There's nothing more frustrating than having no phone number on a car ad because an email is never as instantaneous as a phone call. So there you have it. Get selling.